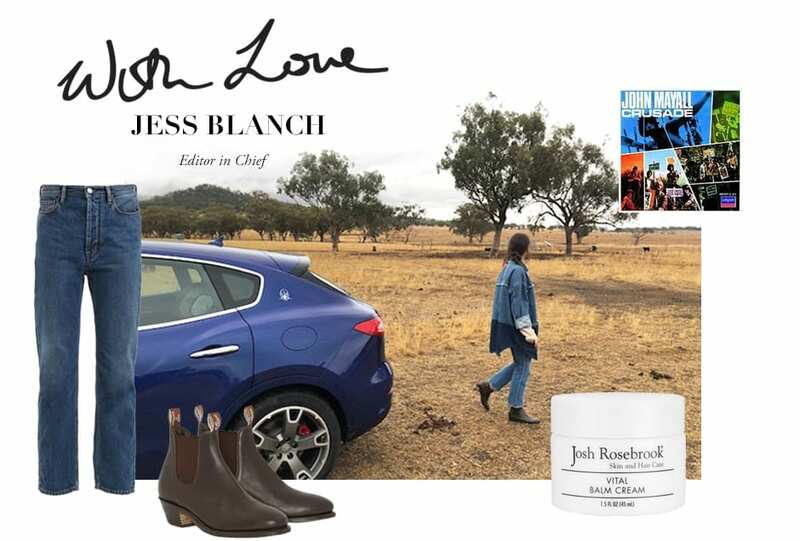 1/3 From left: ACNE STUDIOS jeans; Maserati Levante SUV; PHOTOGRAPHY @thisisjessblanch; R.M.WILLIAMS shoes; JOSH ROSEBROOK Vital Balm cream; John Mayall, Crusade, 1967. The road is life. There’s nothing quite like throwing only the bare essentials in the back of a car and setting off along the highway. 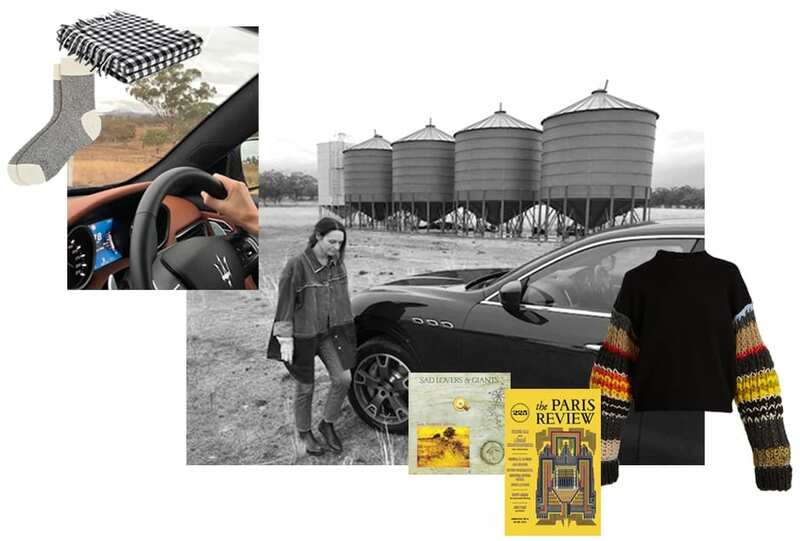 Whether alone or with your clan, destination known or yet to be discovered, there’s a particular kind of zen that can only be found on the open road, preferably in the comfort of the Maserati Levante SUV. 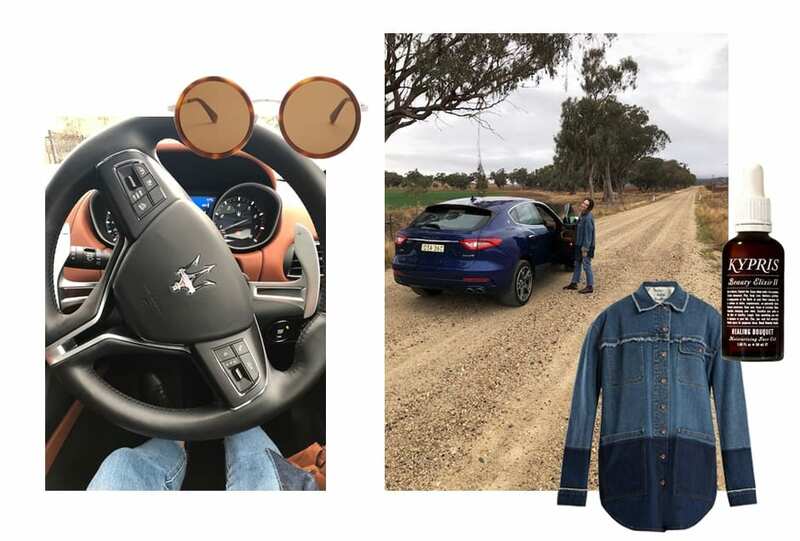 Here, RUSSH Editor in Chief Jess Blanch shares some of her favourite country road trips, and her got-to playlist to soundtrack the journey. The road home is always the sweetest. The journey begins with coffee and Panini from Barbetta in Paddington (must try their pork and cabbage), heading North until stopping for lunch at The Cottage, Scone, a lovingly restored cottage in the main street of town run by Chef Colin Selwood – once responsible for China Doll, among others – prior to his tree change. Supplies can be picked up at The Pantry in Willow and a dinner at Graze at The Willow Tree Inn is a must over the weekend. Drive from Melbourne and drop the bags at my bolthole of choice, The Jackalope. 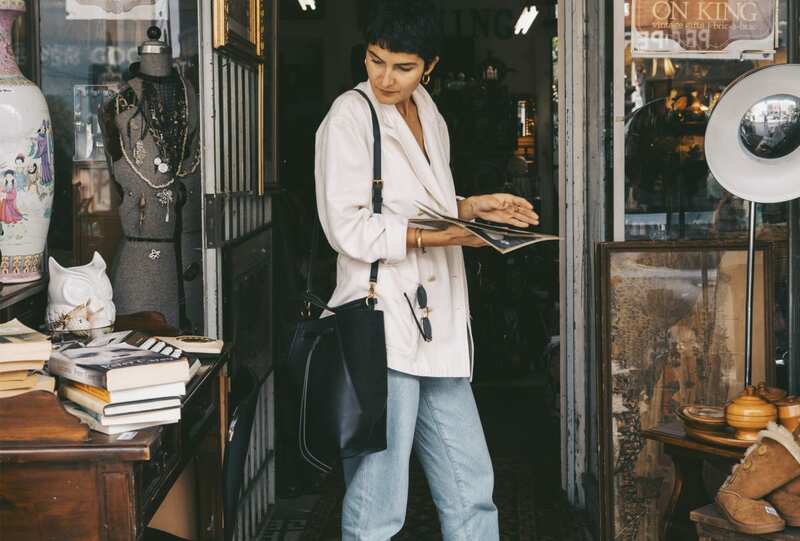 Head to Pt Leo Estate winery for lunch at the restaurant which has been established by chef Phil Wood, and for evening book into Laura which is the constellation of fine dining on the Mornington.